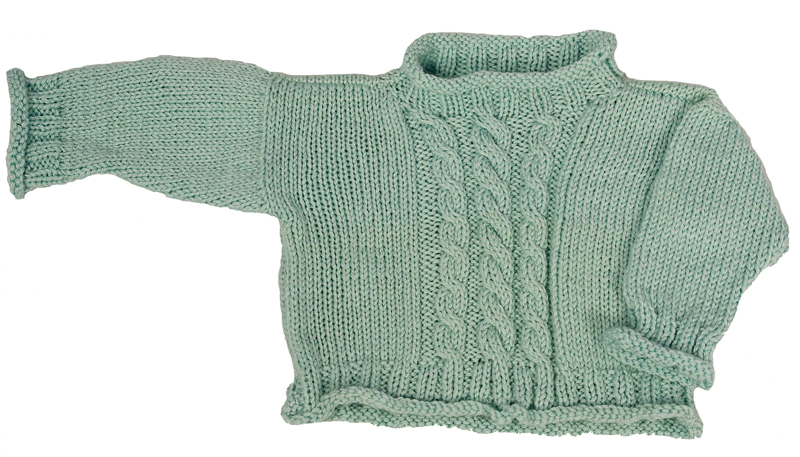 This simple and sweet cable pullover with a generous neck opening is a great introduction to cables. It looks great, has a comfy fit, knits up quickly for that special baby in your life, and the only seams you sew are at the shoulder! Finished Chest Size:	20", 22"
This simple cabled hat looks adorable and this pattern is a great introduction to knitting cables! 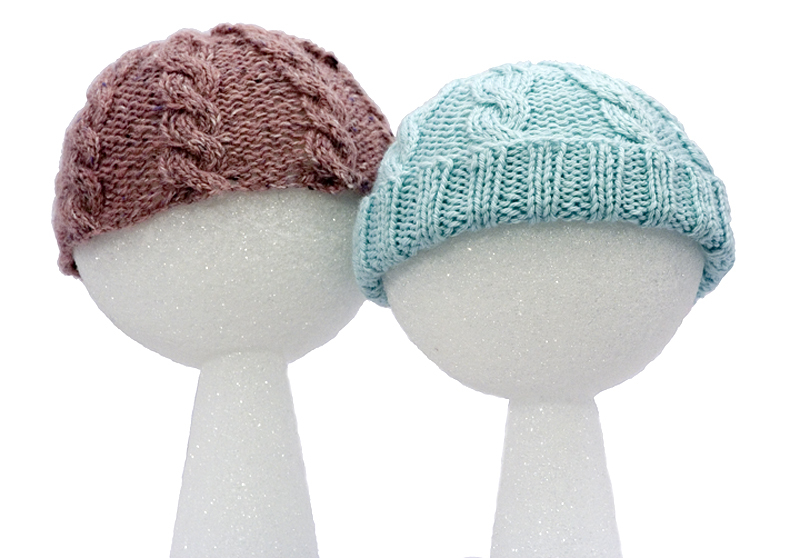 Choose a zippy brimless hat or a traditional watch cap with a brim. A perfect match for the Baby Cabled Cardigan.